Late Season Trade Impact: The Giants traded away 22-year old right-hander Stephen Woods (15) in the Evan Longoria deal. Woods would have ranked at #2 above. He completed his first full season with LoA Augusta where he stymied lefty hitters (.211) and kept the ball in the yard ( 3 HR in 110 IP). Possibly to fill the void of Woods leaving the system, the Giants got Shaun Anderson from Boston in the Eduardo Nunez trade. Anderson (17) also was the #2 UTR-OAS for the Red Sox. 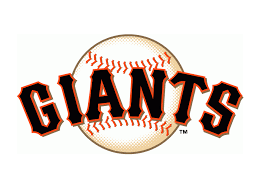 The Giants bullpen picked-up Julian Fernandez (9) from the Colorado Rockies during the Rule 5 draft. The 21-year old righty had a successful first full season at LoA Asheville, and was going to be the Rockies #2 UTR-OAS reliever. That Factor Score would have placed in the same position below.